The Treasury is doling out a second round of money for its cash-instead-of-tax credit program, benefiting not only renewable energy developers but also manufacturers such as Solyndra and Vestas. The U.S. Department of Treasury has awarded about $550.4 million to 25 renewable energy projects as part of a program to hand out the cash equivalent of a 30 percent investment tax credit. The awards, announced Tuesday, are the second round of funding by the Treasury, which launched the program in July this year and made its first set of awards earlier this month. The first round of funding, totaling $502.6 million, went to 12 projects. Spain-based Iberdrola was the developer behind five of the wind farms on the list and was set to get nearly $295 million (see Treasury Grant's Big Winners: Wind Companies). In the second round, Iberdrola is a big winner again. It's behind three projects that are set to receive nearly $251 million. 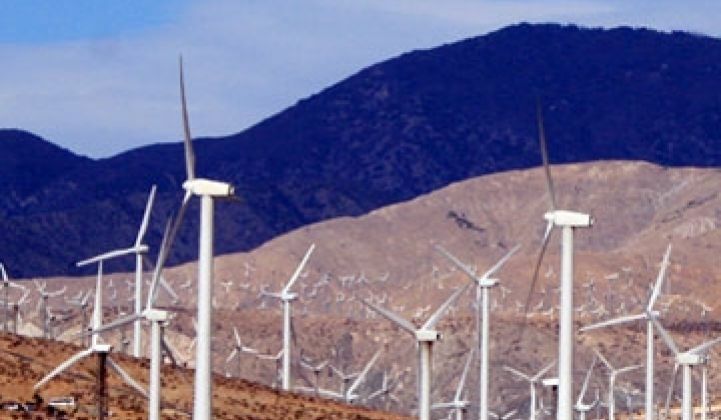 Wind farm operators could opt to get the cash grant instead of a production tax credit. The program is meant to inject faster financial help at a time when the credit crunch has made it difficult for developers to line up money for renewable energy generation projects. Instead of waiting to receive the tax credit, developers could get the money much sooner, provided that they have completed the projects and put them into service. The Treasury department expects to dole out a total of $3 billion to about 5,000 projects generating power from solar, wind, biomass and other sources through the program, the government said. The U.S. Department of Energy, which knows more about renewable energy technologies, has helped the Treasury department to review the applications. Tuesday's announcement highlighted Solyndra as one of the beneficiaries of the cash grant program even though Solyndra doesn't build energy projects. The Fremont, Calif.-based company sold solar panels to a rooftop project in Denver developed by 5135 Co., according to the Treasury department. Solyndra has benefited from more than one federal program this year. The company will also receive a $535 million federal loan to build a 500-megawatt factory within a mile of its headquarters and first factory (see Solyndra: Fab 2 Construction Begins).